Intel’s Thunderbolt technology has peaked the curiosity of many people in post-production. It has also gained interest by the average at the consumer looking to share content, such as HD videos and images. Thunderbolt promise blazing speeds unlike any connect before. As fall is introducing itself to us, so are brand new Thunderbolt peripherals. 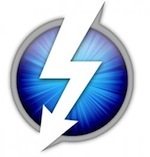 Thunderbolt is shaping up to be an exciting new tool. Let’s take a look at a few of new offerings. First up are Macbook Pro’s . the latest offerings from Apple now support Thunderbolt and make me already feel the itch to upgrade my 1 year old 17” Intel i7 to one of these beauties. Next up are the recently released raids by Promise. Promise has started manufacturing and shipping new Thunderbolt capable raids. These are configureable from 4TB to 48TB if need be. They also support raid 0, 1, 5, 50, 6, 60 and 10 delivering over 500MB/s of disk performance. These new devices sound great but nothing has got me more excited than BlackMagic’s UltraStudio 3D. BlackMagic Design just announced UltraStudio 3D the world’s first video product with Thunderbolt technology is now shipping. Initially debuting at NAB this past year we have all been eagerly awaiting it’s arrival. The UltraStudio 3D which allows portable capture and playback with full resolution dual stream 3D support, 10 bit hardware architecture, dual link 3 Gb/s SDI, support for up to 1080p60 in SDI and component analog and HDMI 1.4a connections, as well as full SD, HD and 2K support, is now shipping for only US$995. The UltraStudio 3D packs a powerful new interface in the form of Thunderbolt dual link 3 Gb/s SDI, HDMI 1.4a and analog component/s-video/composite, as well as balanced analog and AES/EBU digital audio capture and playback. The UltraStudio 3D also supports 10 bit SDI video and full support for video rates up to 1080p60 via SDI, HDMI and analog component. • Thunderbolt™ technology at 10 Gb/s data rate. • 3G SDI (3 Gb/s SDI) in and out, supports SD, HD up to 1080p60 and 2K. • SDI inputs include full SDI re-clocking for capture from poor quality SDI sources. • HDMI 1.4a in and out, supports SD and HD formats up to 1080p60 and frame packing 3D. • Hardware based 10 bit Up, Down and Cross-Conversion. • Component analog in and out. • Component analog switches to s-video and composite. • Supports uncompressed 8 and 10 bit and compressed video capture and playback. • Compatible with Mac OS X computers with a Thunderbolt™ port. • Supports Final Cut Studio, Premiere Pro, Photoshop, After Effects, DaVinci Resolve and more. • Includes free developer SDK. • Includes free Media Express 3 capture and playback software. It finally seems we are getting some great peripherals that support Intel’s Thunderbolt Technology. As the summer ends and fall begins with all of these great back to school sales, one can’t help but to wonder…..Time to upgrade! *Get more insider advice on how to buy your next computer, plus bonus insights from Tej Babra. Join us at the Intel Canada page on Facebook.